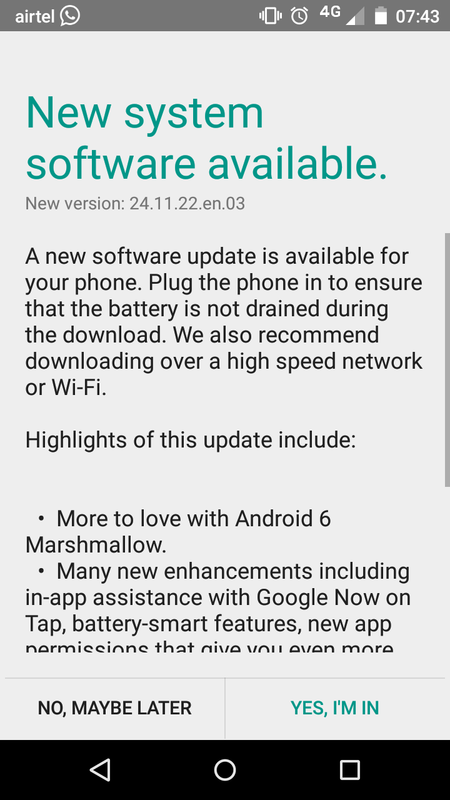 Motorola is just about done rolling out Marshmallow updates to its recent phones, and that includes one you might not be very familiar with. 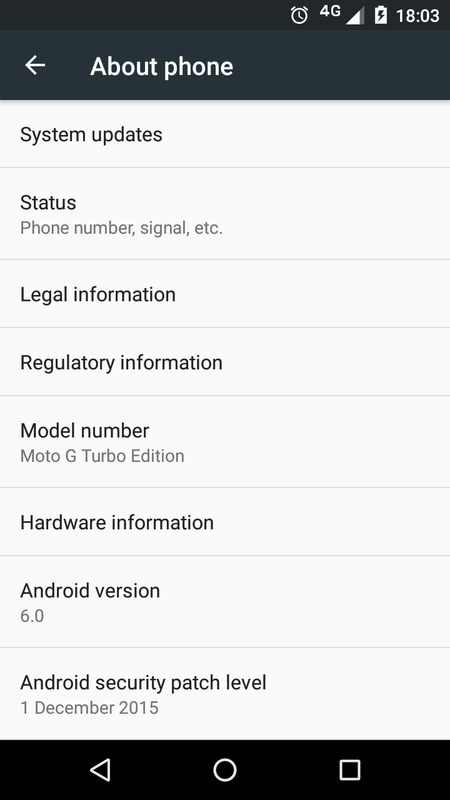 The Moto G Turbo Edition in India is getting a 6.0 update right now. 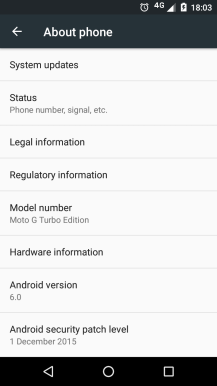 This phone is also sold in Mexico, but today's update is for the Indian version. 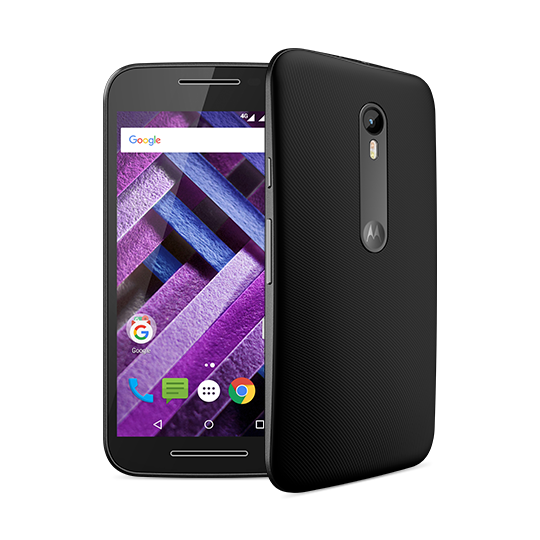 The Moto G Turbo Edition is basically a third-gen Moto G with a Snapdragon 615 instead of a 410 and dual SIM support. 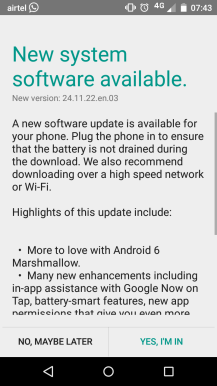 The difference in hardware resulted in a slight update delay compared to the standard Moto G, but the 603MB update is rolling out now. 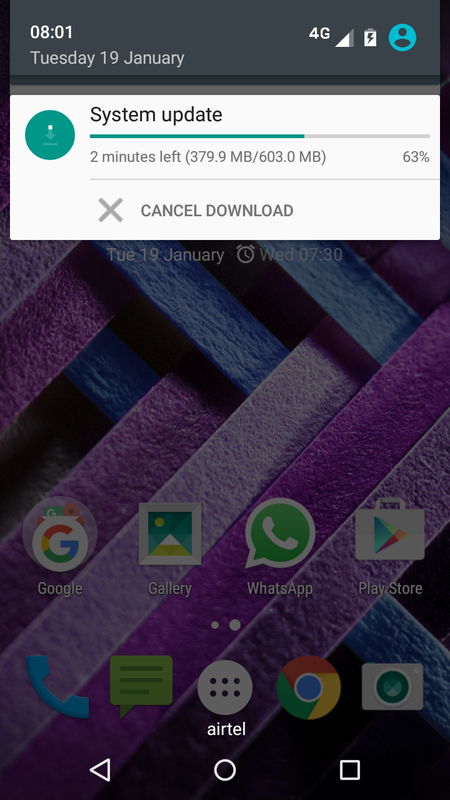 It includes all the usual Marshmallow goodness like Now on Tap, granular permissions, and doze mode. The update comes with the December security patch, so it's technically one update behind. Still, not bad for a limited-release budget device.